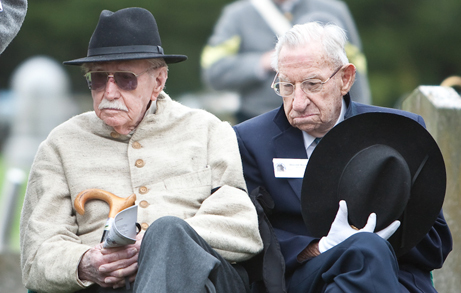 Franklin’s adopted Civil War son, Harold Becker, turns 92 today. 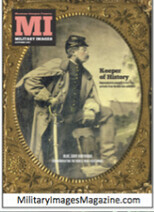 You will recall his father, Charles Conrad Becker, fought in the 128th Indiana at Franklin. I’ve blogged on Harold and the reburial event we had recently many times before. Funny story . . . Harold told me he was born on October 30th and his brother was born November 1st. For years his mother always celebrated BOTH their birthdays on Halloween, October 31st. He told me he was much older before he even realized his birthday was actually on October 30th! Picture courtesy of Al Wagner Photography. Harold admits he was the “most spoiled kid” in Michigan growing up, essentially being raised by three old maids. Harold’s grand-father came to America from Germany in the late 1840s and headed off to San Francisco in 1849 during the “Gold Rush”. He was never heard from again. He was a personal friend of then-Congressman Gerald R. Ford, while maintaining that friendship even when Ford was President. 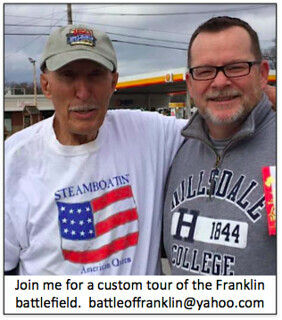 Harold’s first car was a Model-T Ford passed down to him from his father. Harold says his favorite baseball player of all-time was Ted Williams. He attended the Chicago World’s Fair – Century of Progress – in 1933 with his Dad. 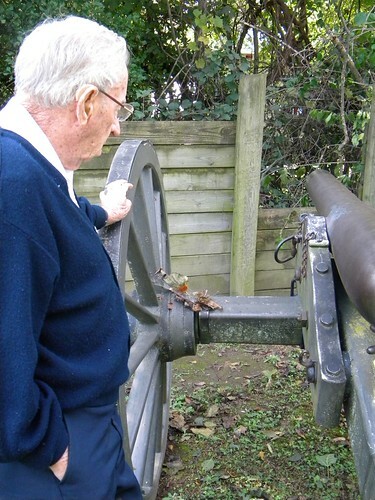 Harold still has his father’s – Charles Conrad Becker’s – original Enfield musket. It was used at the battle of Franklin. He told me that the events of this weekend were a “real highlight” of his life. 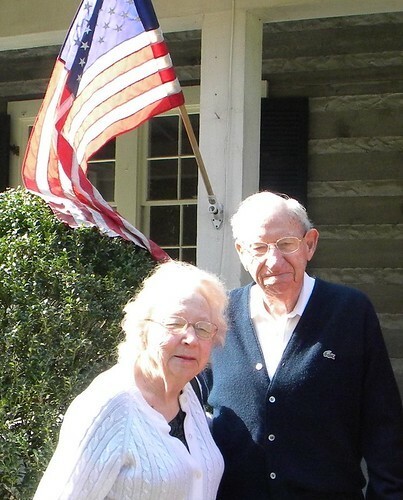 We took Mr and Mrs Becker to the Carter house grounds before they left for Michigan this morning. Here are some highlights of our visit. 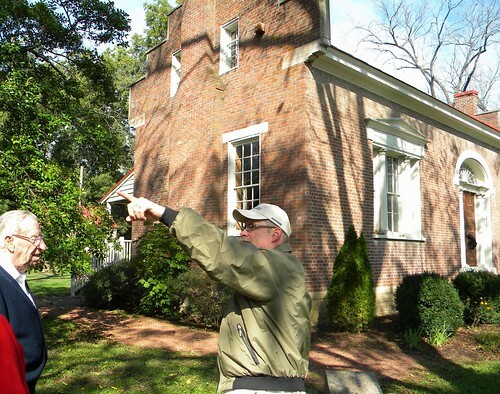 We also took him to a spot at Lewisburg Pike, and to McGavock Cemetery. Harold Becker at Carter grounds. 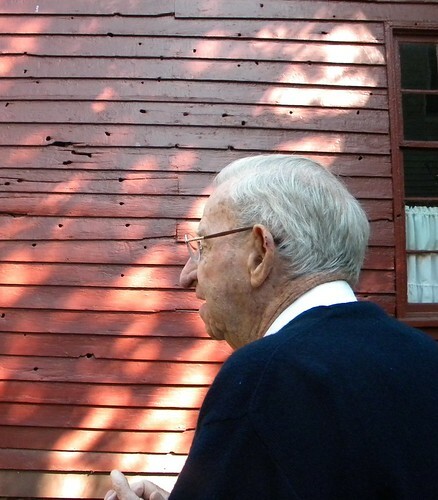 Mr Becker was very impressed with the bullet damage in the Carter smokehouse building walls. Mr Becker's father - Charles Conrad Becker - was a rifleman for the 128th Indiana. Mr Becker was just amazed with the Carter grounds. 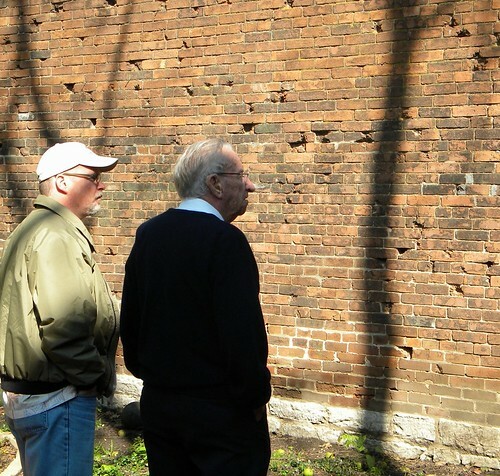 Civil War sons Harold Becker and James Brown, Sr., meet for first time.